Listen, this is a little awkward, but I’ve been working all day here in these blogmines for over a month now and not one of you has bought me a damned thing. I bust my back grinding out news and spittin’ hot takes for you, and you can’t even send over a fruit basket? Well, lucky for you I am benevolent and all-forgiving. All past transgressions can be forgotten so long as you all come together now and buy me this Land Rover Defender SVX. 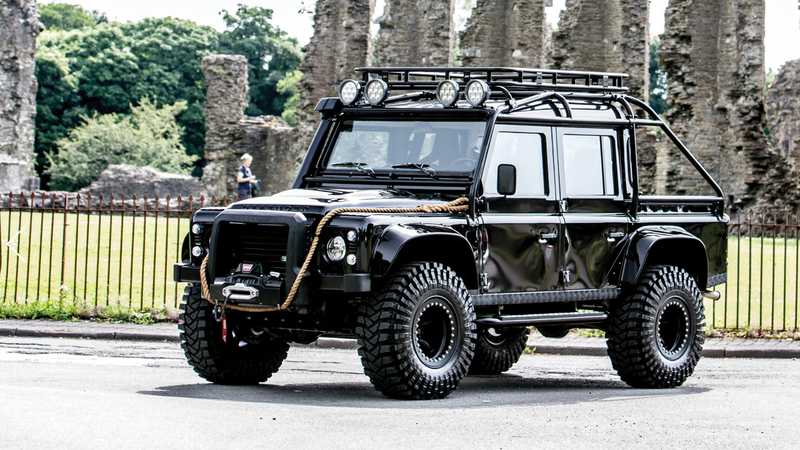 That’s right, one of the gnarly tricked-out Defenders from Spectre is going up for sale. I know what you’re thinking: Isn’t Justin Westbrook the James Bond guy around Jalopnik? You’re right. He absolutely is. I, on the other hand, have little attachment to the British spy and honestly can’t remember what happened in Spectre. So why do I want the SVX? First, I asked Justin to text me before he and Aaron got lunch yesterday because I wanted food. He didn’t, returning with what I can only assume was a delicious serving of fish and chips and leaving I, the poor Macktern™, hungry and un-texted. Since I was deprived of delicious fried fish, I’d like him to have to watch me drive my sick new James Bond Defender to work. Second, this is perhaps the coolest movie car ever made. Look at it! Rather than a boring supercar, the Defender SVX is a hopped-up monster truck from hell that could devour souls and destroy all obstacles. I’d use it to commute from my apartment to Jalopnik’s offices, saving me from the grueling nine-block walk. Unlike most of the other Spectres, which were used only for publicity purposes or not at all, this example was used extensively in the filming and still has marks on its bonnet left by the stuntmen. Unusually, it retains its mechanical handbrake and ‘SVX’ boot badges (most of the other vehicles had theirs removed) and also key tags identifying it as an official film car, etc. 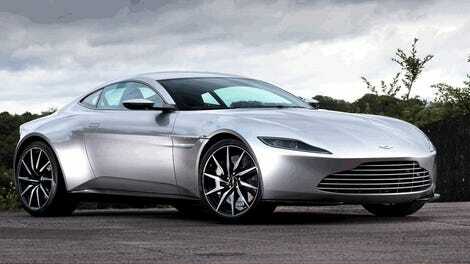 The first private owner had the pick of all ten Spectre Defenders and chose this one as it is the most significant. It’ll be going up for auction at Goodwood and is expected to fetch between $290,000 and $330,000. That may sound like a lot to any of you individual Jalops, but when it comes to buying stuff for me you have to remember that teamwork makes the dream work.